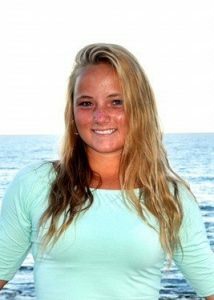 2018-2019 Phillips Alumni Scholar (Messiah College ’22) Ashley Levesque graduated from Maine’s Scarborough High School in 2017, where she was active in Key Club, Student Council, and several sports teams. During her junior year of high school, she participated in a mission trip to Nicaragua and there met fellow missionaries who were participating in the World Race Gap Year program: a nine-month international mission trip. She felt herself drawn to follow in their footsteps, “escaping America’s mold in order to pursue the road less traveled.” She said, “As time passed I began to get a deeper urge and ambition to go. Consequently, on September 9th, 2017, I stepped off of American soil onto a plane to Cambodia.” The trip continued to Thailand, Honduras, Guatemala, and Ethiopia. She was teaching English at Buddhist schools, counseling victims of human trafficking, assisting patients at community hospitals, contributing to construction projects, and more.